For those who have been following along for the past 20 days, I hope you’ve enjoyed all the Harry Potter recipes we’ve been making to celebrate the publication of Harry Potter 20 years ago. 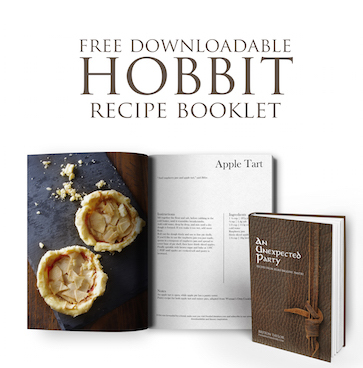 If you’ve missed any, I’ll post a list of the 20 recipes at the bottom of this post. Cream together 2 cups white sugar, 300g of the butter and 6 eggs. Then add in 3 cups self-raising flour and 1 cup plain flour, and finish off by adding in 1¼ cups of milk and 3 tsp vanilla essence. Preheat the oven to 140C, and with extra butter, grease a Wilton sports ball cake pan (preferably also cut a strip of baking paper and lay across the centre with edges dangling out, to help when it's time to remove the cake. Pour in the batter until you have 2 cm extra of space before you reach the top of the pan. Bake for ~2 hours until a skewer comes out clean, when pressed into the centre of the cake. Remove from the oven and let cool for at least 1 hour. Take your buttercream icing, and spread over the cake as smoothly as possible. To get an almost glass like finish, take very wet hands and smooth the icing down. Pop into the fridge for 1 hour to firm up. Stack your cake together on a cake stand and use icing inbetween the layers, and smooth any edges around the sides. Place in the fridge again for another ½ hour. Mix together a white and yellow fondant or rolled icing, then roll out on a lightly dusted (with icing sugar) counter. Cover the cake with the fondant (I'd suggest following this tutorial by RoseBakes for this step). Take a knife and lightly draw out the snitch pattern onto your cake. Roll out extra fondant into thin strips, and, using water, your fingers, and a wooden skewer, press the strips into place. I press the edges down into the cake's fondant layer, then use the smooth surface of my nail to make the line as invisible as possible. Since we used water, let that dry for at least an hour (I covered with cling wrap though so it wouldn't crack). Take your Wilton Color Mist in gold and completely coat the cake. Go back in with a fine tipped clean paintbrush in a brown or dark yellow where the shadows would fall, then highlight using a silver. I also used Wilton Color Mist in silver to give the cake some extra dimension, spraying a bit more intensely on a patch on the front, and directly on top. Split your wing ingredients in half as you'll need to make these in two batches. In a saucepan over medium heat, stir together 1 cup white sugar, ½ cup water, ½ glucose syrup and ¼ tsp cream of tartar. Let the candy cook until it reaches 300F, then remove from the heat. Pour onto a silicone mat, and pop on your candy making gloves. Lift the edges of the candy and pull into the centre until the whole candy can be picked up. Start pulling and twisting until the candy becomes shiny, and is hard to pull. Split into two parts, and roll and pull each piece into long strips. Let them cool on the mat, slightly curved. Once they're firm, but still slightly malleable if gently coaxed, press each end into the cake on either side on the top. You'll want to press them in deep for support. Gently shape them into the curve you want (but don't force them otherwise they may snap) and use a frame (I used small cardboard boxes) to support them while they dry. Make the second batch of the candy. While it's cooking, take a whisk, and use metal snippers to cut the whisk ends, and splay the edges outwards. Once the candy reached 300F, remove from the heat and use the whisk to flick the candy over the wings. Take a little bit of extra fondant and press around the base of the wing, and touch up with the gold Colour Mist. Now you're ready to serve! The vanilla pound cake recipe is followed from taste.com.au. It's been my go-to pound cake recipe for years now! 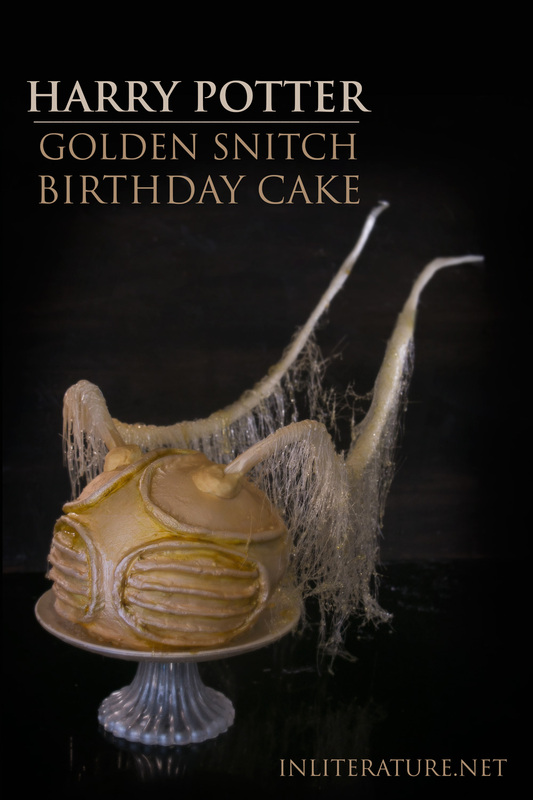 Day 20: This Golden Snitch birthday cake recipe!